GB#36: Utorch UT03 Triple CREE XHP70 9000lm Compact Flashlight Group Buy 2019? I prefer the first design, its more elegant… more fat boy style, isn’t it??? I would like to see an hybrid version..
Is it posible include a Tripod screw with ring attachment + lanyard? There’s nothing to PM about. All the info is in the thread. You should be put on the list. Maybe in a month or two, or whenever production starts, then you will get a PM about how to buy. This is so early I wouldn’t call it a group buy list, I would call it an interest list. Aawww… The ruined the initial clean looks with fins that probably have little effect anyway…. Aawww… They ruined the initial clean looks with fins that probably have little effect anyway…. I don’t know about that. They both look pretty nice to me. It’s hard to say if the increased surface area around the emitter shelf will help at all or only a little since it’s such a massive amount of heat being dumped into it very quickly. Just having more mass in that area might help to increase the turbo run time. I like simple design too, but please bare in mind that there are three XHP70 under its hood. Flashlight performance definitely outweigh "clean looks" for this case. Interested. Put me down foe one. I would be interested too depending upon price. I hope that chamfer on the fins make it through production. The sharp edges on the fins of my Haikelite aren’t something I want to buy more of. It is already shown in the rendering. I hope that chamfer on the fins make it through production. The sharp edges on the fins of my Haikelite aren't something I want to buy more of. I will speak to them regarding tripod mount. Can i have a show of hands, how many people really use this feature? I personally prefer to keep the price as low as possible. I prefer the first design, its more elegant... more fat boy style, isn't it??? I would like to see an hybrid version.. Is it posible include a Tripod screw with ring attachment + lanyard? Flashlight scene has changed quite a bit over the years. In order to break free from MAP police, vendors have no choice but to produce there own in-house brands to satisfy our needs for better designs. Although these emerging brands might not be perfect, I can see that they have made tremendous improvements in a short span of time. A light of this much brightness and heft can really benefit from a tripod mount. The photographer in me wants to use it for night time photography. Others may have other uses in mind. A rendering isn’t production. Chamfers can be incorrectly sized or completely omitted in production for many reasons, typically for bad reasons. Because we see it in the rendering, not seeing it in the production version is an indication of disconnect between the designer and machinist. I also have interest in a tripod mount. I think it’s a simple feature to include in a light with this brightness. Tripod mounting hole request submitted. I also have interest in a tripod mount. I think it's a simple feature to include in a light with this brightness. It is really good news.I also interested in tripod mount. We could use one of this as a lanyard/ strap attachment point with the 1/4" hole too. 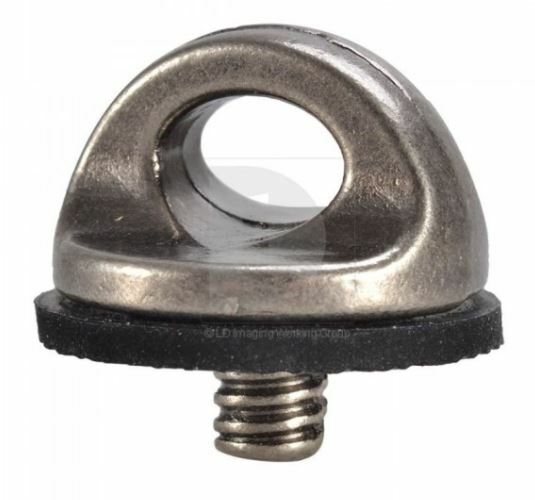 We could use one of this as a lanyard/ strap attachment point with the 1/4” hole too. And thank you for listening to our suggestions. when this fat boy come?